Knysna Municipality strives to maintain its position as a premier tourist destination in South Africa – a place where peace, prosperity and harmony prevail, ensuring an exceptional lifestyle for residents and visitors alike. [d] Departure from certain parameters in the Zoning Scheme with regard to the minimum erf size, minimum street width and the provision of public open space as prescribed in the Special Residential Zone, in terms of Section 15(2)(b) of the Knysna Municipality By-law on Municipal Land Use Planning (2016). 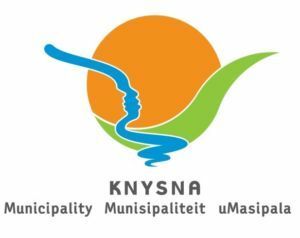 Any written comments may be addressed in terms of Section 50 of the said legislation to the Municipal Manager, P.O Box 21, Knysna 6570 or via email knysna@knysna.gov.za and smqhele@knysna.gov.za, on or before 23 April 2019, quoting your name, address, contact details, interest in the application and reasons for comment.